This elegant commemorative coin was created in honor of the 100th anniversary of the dedication of the Statue of Liberty to the United States. The Statue of Liberty stands proudly overlooking the growing New York skyline as the sun is setting. 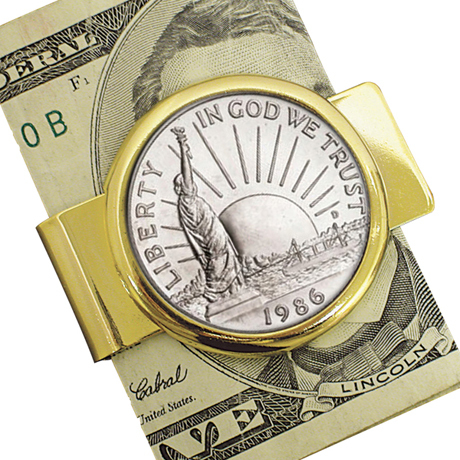 This copper-nickel clad coin rests in a goldtone moneyclip. Does not include currency. Includes a Certificate of Authenticity. Allow 1-2 weeks for delivery. Item can only be shipped within the Continental US.